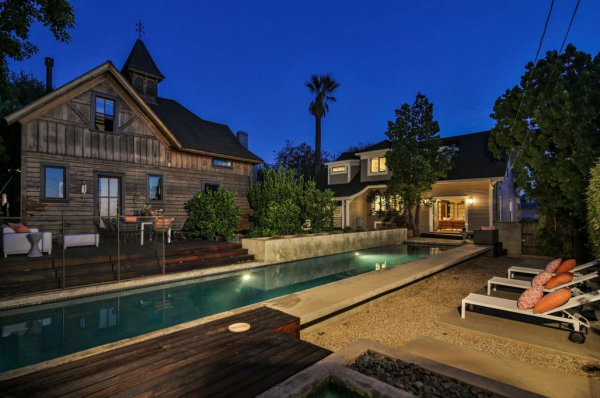 You know you’ve made it in Echo Park when you can afford a stately home in Angeleno Heights. 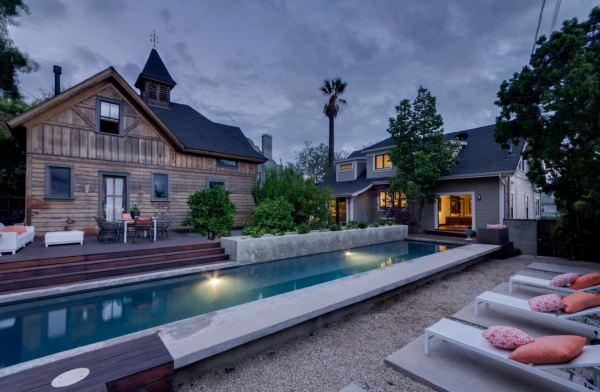 This thing of beauty, 1417 Kellam Avenue, hit the market for a cool $1.495M. 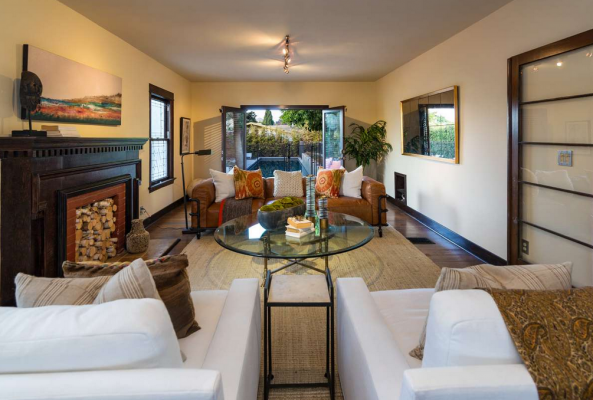 The main house, an elegant 1907-built Craftsman, is complemented by a lovely 1887-built Victorian carriage house, and further beautified by a 2008-built lap pool. 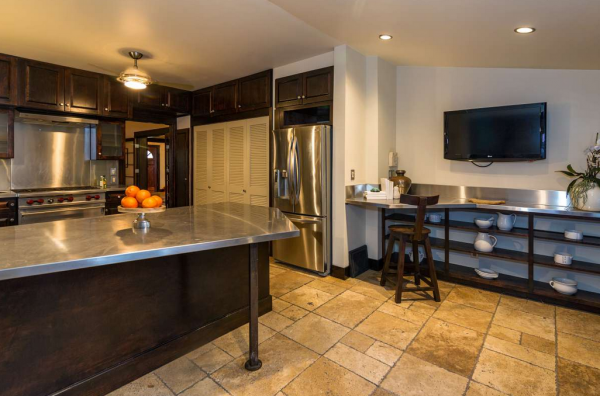 Let’s take a look inside 2,767 square feet. The main 3-bedroom house looks rather modest at first, removed of its prior stucco gory in 2008 and restored to show that wooded siding glory beneath. 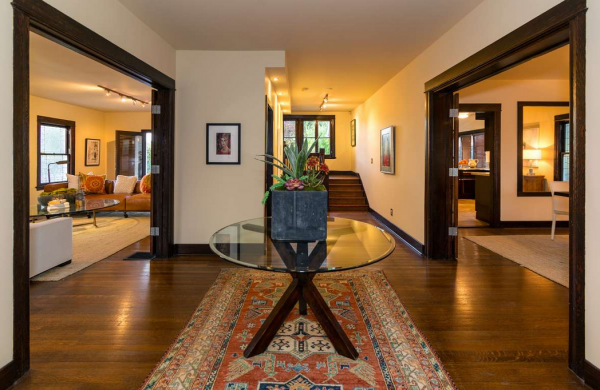 Upon entering the home, a formal foyer greets visitors. On stage left, a decorator’s living room awaits, with a clear view of the pool. 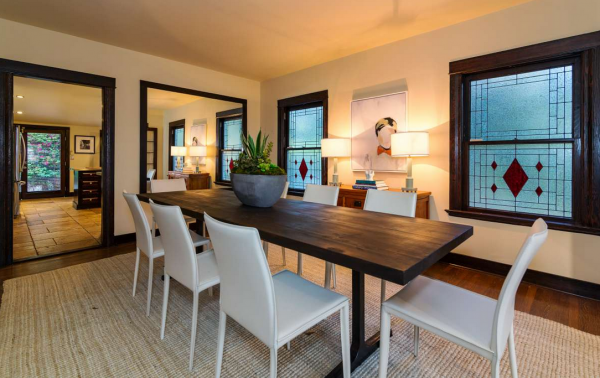 The formal dining room, on the opposite side, is large enough to feed your hungry dinner guests — with simple Wrightian windows to let in natural light. 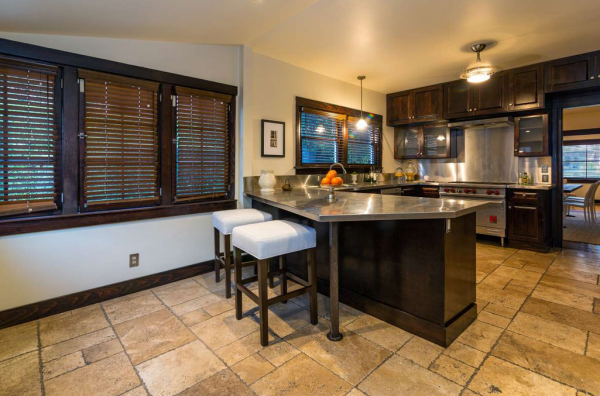 Steps beyond, the kitchen has been updated to include bar-style seating, a Wolf range, and plenty of stainless steel countertops on which to prep. Upstairs, all 3 bedrooms are adequately sized. The master has a generous walk-in closet. 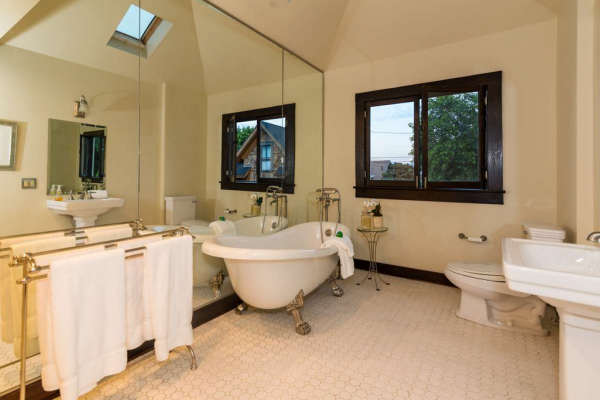 For those with both narcissism and a penchant for clawfoot tubs, this mirrored and sky-lit bathroom sure hits the spot. 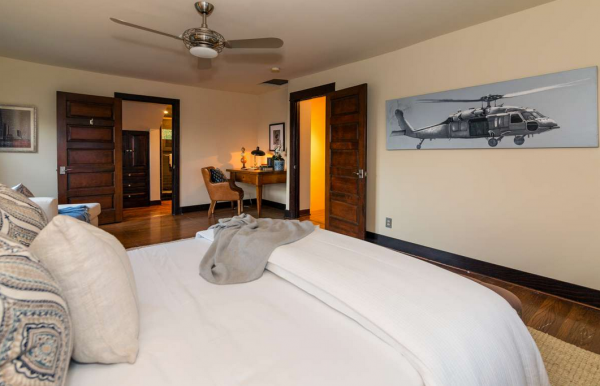 The 2nd bedroom, below, has all the trappings you’d expect in a Craftsman. 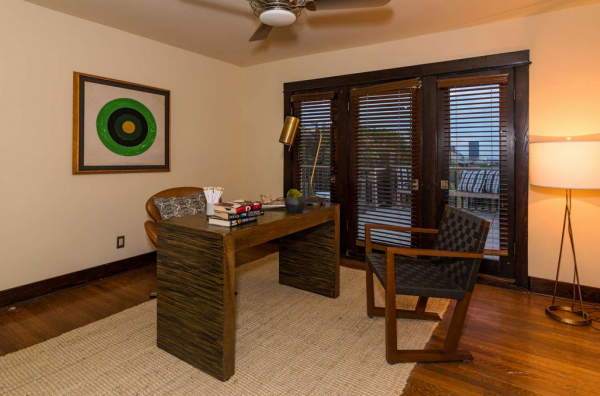 The 3rd bedroom, styled as an office, has French doors that open up to a large deck. 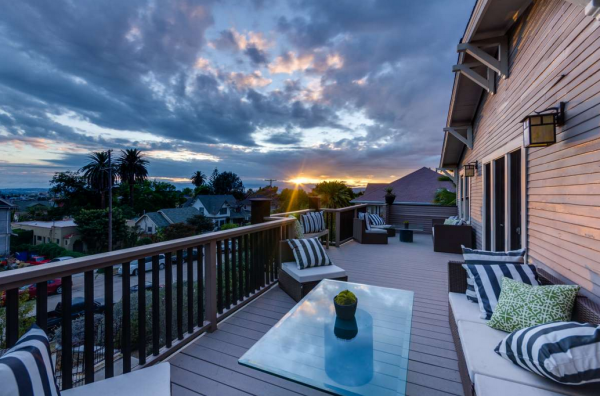 Both Downtown LA skyline and sunset views arrive daily from this 2nd floor perch. 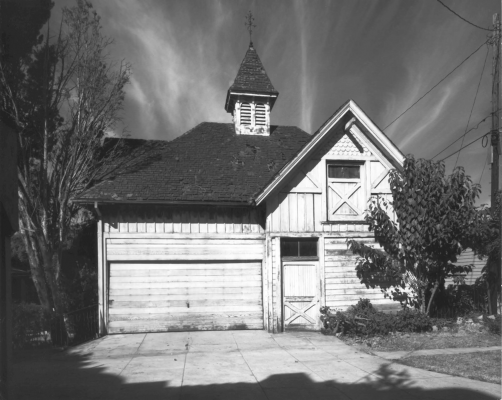 And, lastly, let’s not forget about the gorgeous Victorian carriage house — the structure entitled Historic-Cultural Monument No. 166 and declared so in 1979 by the City of LA. 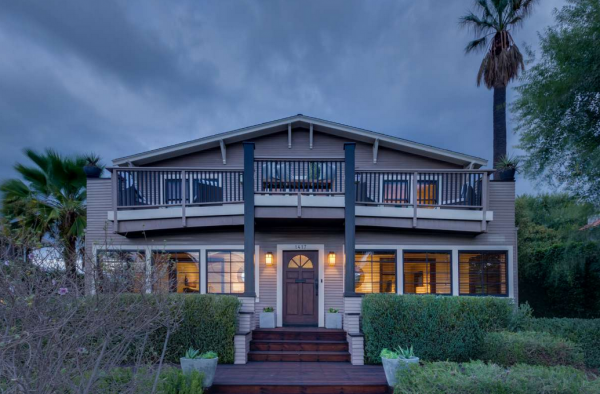 It was once used by co-owner and co-developer of Angeleno Heights, Everett E. Hall. Though no professional photos exist of the carriage home’s interior, a description should suffice. The 1st floor boasts a small den with a built-in bookcase. A full bathroom, with another side entrance to the pool area, is perfect for guests who lounge and suntan during those sunny L.A days. 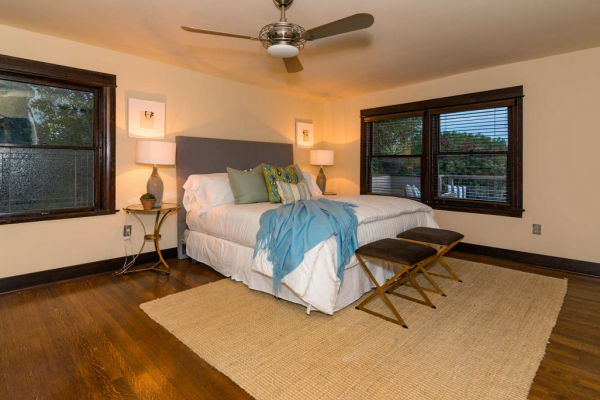 On the 2nd floor of this steepled structure, you’ll find a generously-sized bedroom loft and another full bathroom. Exposed white siding makes the space feel a little heavenly. For a private showing, please contact Jovelle Schaffer at (213) 718-1110 or jovelle@jovelle.com. Aaron Kirman of John Aaroe Group has the listing.